New rules limit the circumstances in which someone may qualify for the permanent move SEP to ensure consistency with the original purpose of that SEP. An Interim Final Rule with Comment (IFC) published in the Federal Register provides that individuals requesting a “permanent move” SEP must have minimum essential coverage for one or more days in the 60 days preceding the permanent move, unless they were living outside of the United States or in a United State territory prior to the permanent move. This ensures that individuals are not moving for the sole purpose of obtaining health coverage outside of the open enrollment period. 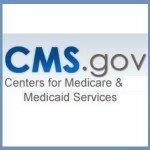 The Centers for Medicare and Medicaid Services has released a Frequently Ask Questions documents discussing health insurance subsidies when a person is incarcerated in jail or prison. This includes such situations of a person being arrested but not yet convicted of a crime and those on probation and parole.